BlackBerry Bluetooth Watch Coming? | BlackBerry Blast! BlackBerry Blast! > News > BlackBerry Bluetooth Watch Coming? 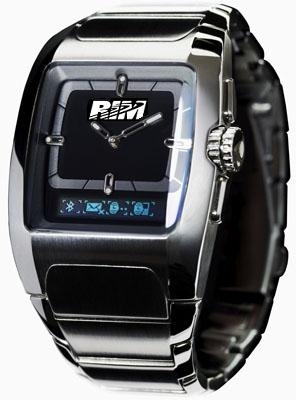 If you believe the rumors, RIM is developing a BlackBerry Watch that will be the center for all your notifications. It will work via Bluetooth and give you heads up on email, sms, Facebook, etc. At this point it is a rumor, and the picture is just a mock up but apparently one of the VPs let it slip that RIM was working on this thing at WES 2009. This seems like an odd idea but maybe people want to be able to get notifications while their BB is on their hip? Stay tuned.